In Central America we operate under the brand GSI RenewableBlue, our sister company who receives the international backing of our entire staff of experts in Atlanta and Chile to develop engineering projects in primarily water and sanitation. Our team is comprised of experts that span several disciplines: Civil, Hydraulic, and Environmental Engineering. In conjunction with GSI RenewableBlue, our projects in Nicaragua include the construction of a gravity water system and road network in Tierra Nueva, as well as a sanitary sewage system and a sustainable rainwater collection system in Ocotal among other projects. Additionally TOHL and GSI RenewableBlue have experience designing, building and operating water treatment systems for potable water and wastewater. We offer our clients alternatives for energy savings by optimizing the various stages of the treatment process, guaranteeing the reliable energy efficient operation of our clients' systems. The families of Tierra Nueva, Nicaragua, had a shortage of clean water. TOHL identified clean water sources in the region and engineered a clean water system to improve community health and sanitation. A sustainable, gravity-based water system was designed and installed for easy operation and maintenance. The project successfully provided pure, potable water to four schools and over 2000 people. Construction of a Gravity-Based System delivering water to 4 schools and 164 households. Reservoir and filter specially designed to serve even more people in nearby communities. 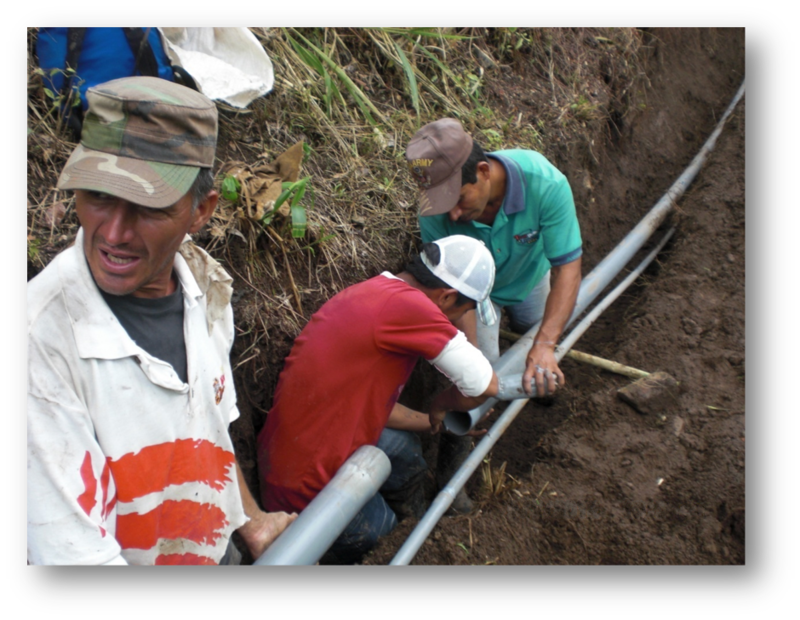 Construction of a second pipeline connecting clean water to communities of San Benito, La Medalla, San Joaquin and Hilipo. Infrastructure was constructed in conjunction with the local community, with workshops held to train locals in proper usage and maintenance of water systems. In addition to providing Tierra Nueva with clean water, TOHL built an access road to agriculturally productive areas of the village. The road system increased ease of access and productivity of the community. TOHL provides transportation infrastructure in addition to clean water infrastructure. Training local community members with workshops on proper use and maintenance of roads. Without a permanent sewage system, the community of West Ocotal was left in hazardous health and sanitation conditions. 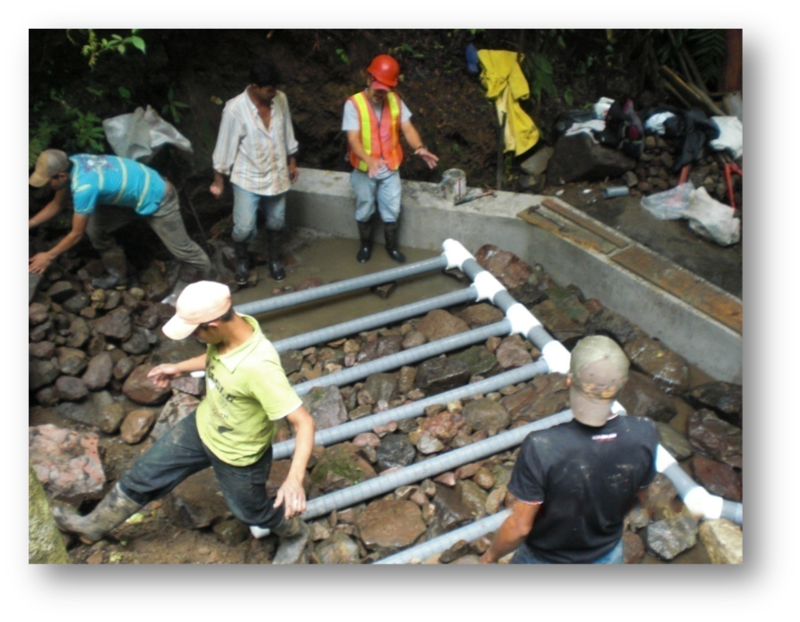 TOHL partnered with Gonzalez-Suarez Ingenieros to improve sanitation and environmental conditions in the Ocotal community by installing a sanitary sewage system. The system consisted of a waste water collection network connected to a waste water treatment plant. The project improved the sanitation of roughly 14000 people in the West Ocotal region. TOHL strives to integrate novel, sustainable solutions into its engineering. TOHL successfully designed and installed a rainwater catchment system for Casa Hacienda la Fortaleza in Ocotal, Nicaragua. The system captures rainwater for building use, exemplifying effective, sustainable engineering. Storm water is collected off the house roof into gutters, where it flows down through PVC pipes and a filter into the water distribution system of the house. The system provides the many residents in the house with clean, free water.